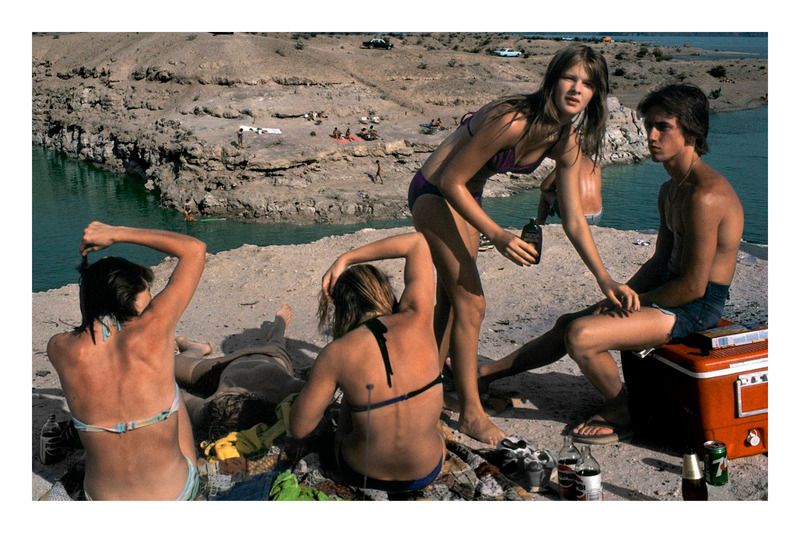 Harry Gruyaert photographs color. 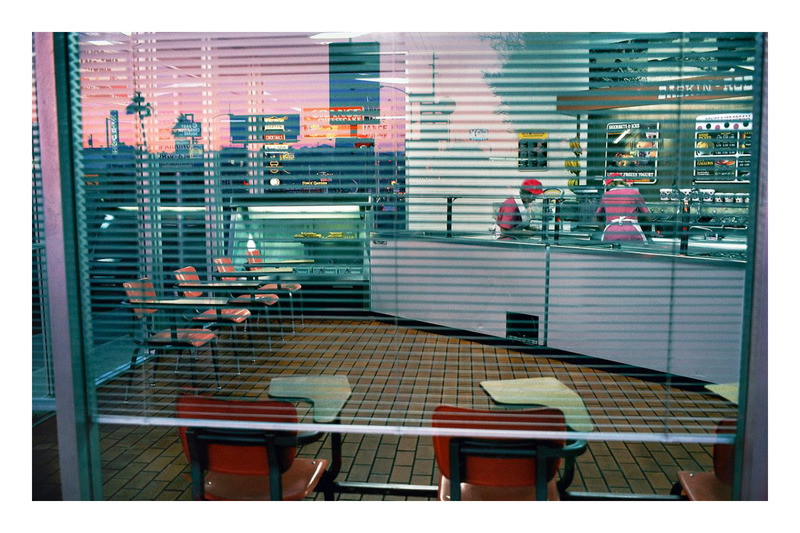 Together with photographers such as Saul Leiter, Stephan Shore and William Eggleston he is one of the rare pioneers who introduced color photography into the world of art. He is the first Belgian to become a member of the Magnum agency. The Antwerp photo museum is a retrospective, giving a rich, surprising overview of his works, each of them with a faultless feeling for color, light and composition. 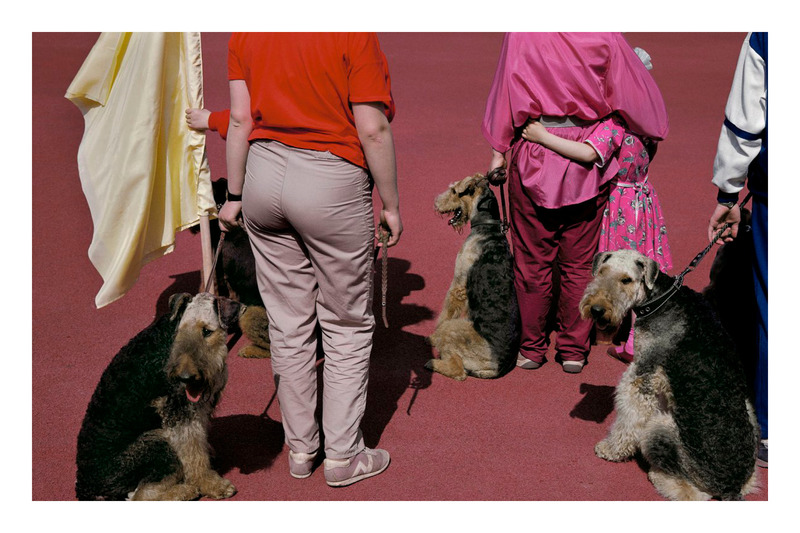 Harry Gruyaert studied cinematography in Brussels. After graduation, he started working as a cameraman for television documentaries. In 1962 he moved to Paris, with the ambition of becoming the assistant of photographer and filmmaker William Klein. Various encounters with artists, photographers and art directors introduced Gruyaert to the world of fashion. He worked as a photographer for fashion magazines and advertising agencies and did travel articles. Through these, he ended up in Morocco. The culture and many colors there became an endless source of inspiration. The many influences from this period can be felt in his photographic work. Gruyaard left Belgium and travelled to New York and then to London, where he produced his first important series. 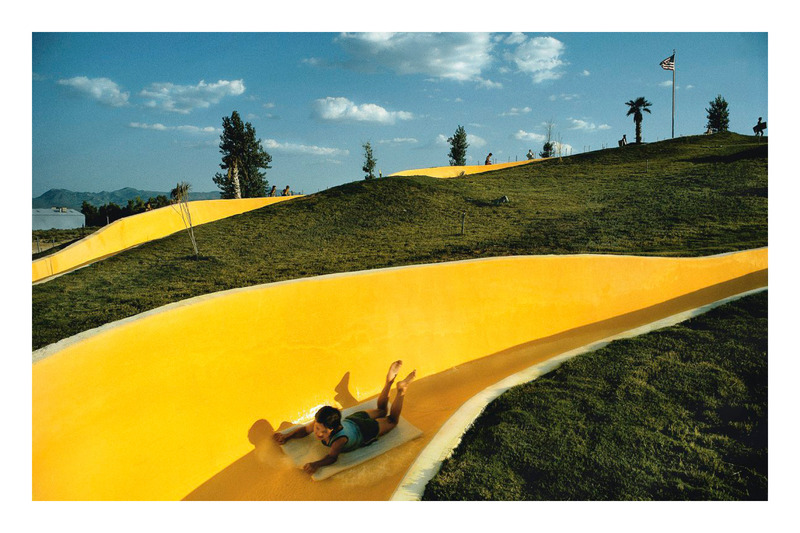 He took photographs from color television – which was still new at the time – and manipulated the images. The use of color, very unusual in artistic circles at the time, allowed him to develop a really original style. On his return to our country, Gruyaard made a personal series about Belgium. It shows the love-hate relationship between the artist and his country of birth, eternalizing its surrealist aspect in an inimitable way. The color palette is particularly striking, with the autonomous elements bringing depth and structure to the image. Up to 10th June, Fotomuseum Antwerpen shows a retrospective of this Belgian photographer, with the most iconic images from this period taking center stage. 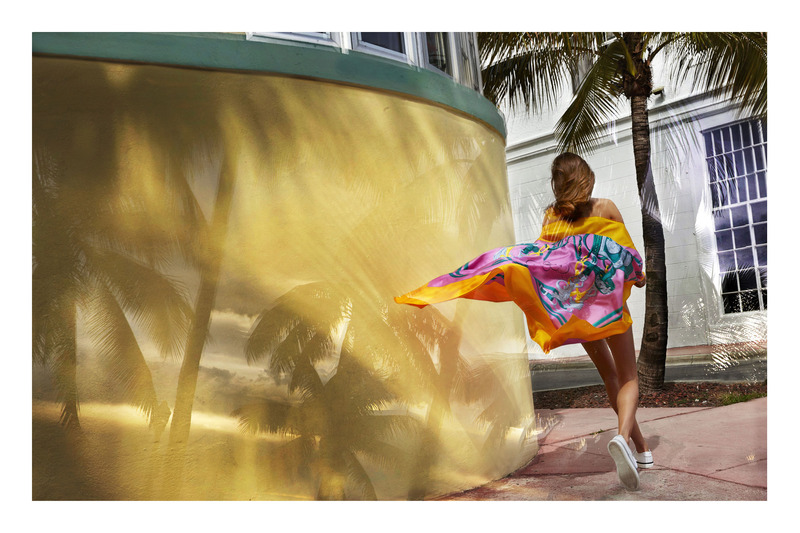 Every photograph shows a unique universe, built with a faultless feeling for color, light and composition. But this exhibition also shows his diversity, focusing on some rarely shown aspects of his career: early work in black and white, a fashion campaign for Hermès, covers of Penguin paperbacks by Georges Simenon, a homage to filmmaker Michelangelo Antonioni, family pictures and various commissioned works. 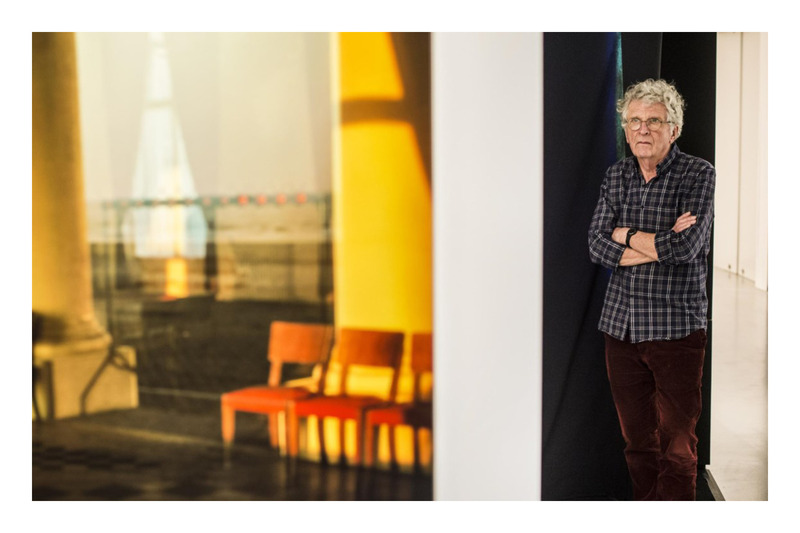 Portait of Harry Gruyaert near his photo of the Thermen in Ostend, 1988. Lake Mead, Arizona, USA, 1981. 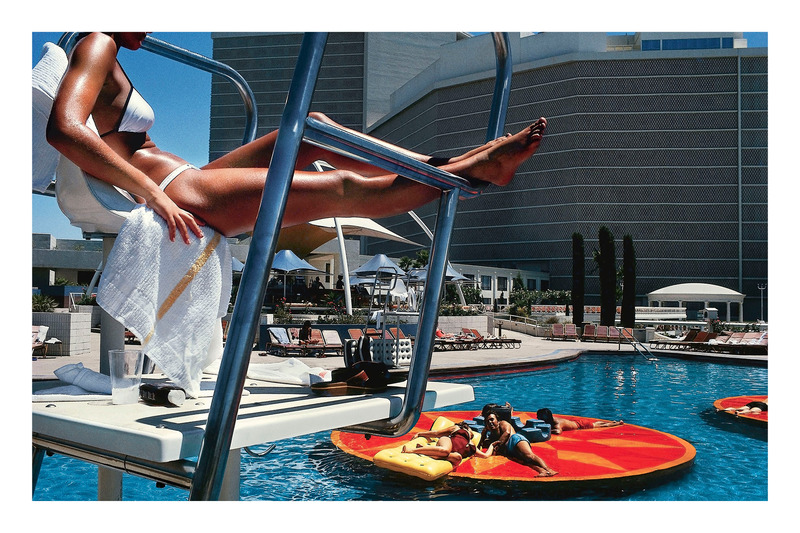 From the book East/West, 1980s Las Vegas and Los Angeles meet post-iron curtain Russia in Harry Gruyaert’s dual-perspective. Great Britain & France, 1972, TV Shots. 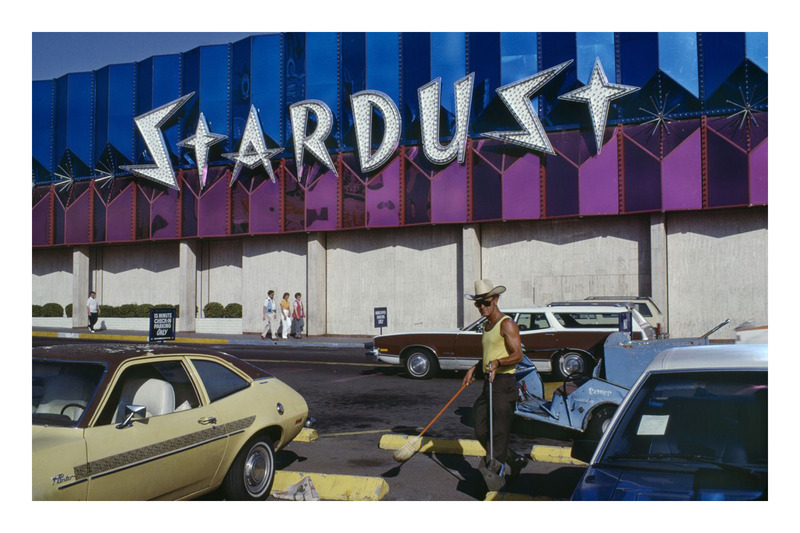 Stardust Casino, Las Vegas, Nevada, USA. 1982. A Talk with Harry Gruyaert for Paris Photo, a retrospective of his work was held in Paris in 2015.